Councils in England and Wales will have the power to set their own rules. Sunday trading has been a contentious topic since David Cameron was forced to scrap a vote on plans to relax the laws last year after a backlash. But ministers are now pressing ahead to give councils the power to extend hours. Unsurprisingly, the return to this policy didn’t go down well with Labour and trade unions. As the idea is being introduced through an amendment to the Enterprise Bill, there will be less chance for parliamentary scrutiny. Sneaky. The general secretary of Usdaw, the shopworkers’ union, said the plans were a ‘betrayal of shopworkers and all those who regard Sunday as a special day’. And there’s a further concern for some religious workers. But changes to Sunday trading aren't just a problem for workers - they could harm some businesses too. While the government said authorities could pick and choose certain zones to benefit from the change to provide a boost to flagging high streets, there’s no guarantee they’d be focused on. The Association of Convenience Stores’s chief executive James Lowman said one of their surveys found extended Sunday hours would probably be applied to out of town parks, which would likely have an adverse effect on high streets. On top of that, the success of ramping up opening hours may be uncertain – there’s no guarantee retailers will get enough additional business during the extended hours to outweigh the extra cost of staying open. The policy may not even be a unanimous winner with big supermarkets. 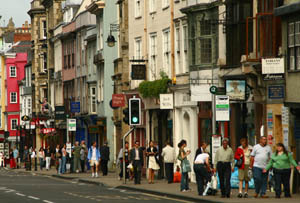 The current set-up has large shops restricted to six hours of trading between 10am and 6pm, while small shops are unrestricted. The likes of Sainsbury’s, Waitrose and Tesco may not feel overly enamoured with relaxing the rules as it could mean fewer customers shopping at their convenience stores where prices are usually higher. Changes to Sunday trading may be a step towards freeing up shops to operate more flexibly in a way that suits them, and would undeniably be a boon for consumers. But there's a danger they could backfire and harm both retailers and the staff they employ.